Hverfisfljót is one of the largest glacial rivers in the area and it originates at Síðujökull, a glacial tongue at the southwest of Vatnajökull glacier. 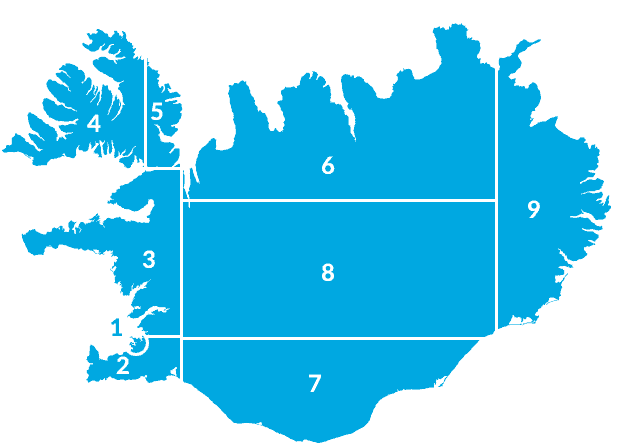 Hverfisfljót divides the district into two regions: Síða, on the west side of the river, and Fljótshverfi on the east side. The river has very strong currents in places, and its water is dark grey and tumultuous, but the flow can vary greatly depending on the season. In summer, the average flow is 50–150 m³/sec, but it drops to 5–30 m³/sec in the winter. There are occasional outburst floods in Hverfisfljót, in conjunction with outburst floods from Skaftá river, with floodwater originating in the Skaftárkatlar cauldrons in Vatnajökull glacier. The Skaftá river floods once every two years on average – much more frequently than Hverfisfljót. Most of the floods from Hverfisfljót are not big, although the water flow has reached 400 m³/sec. Little or no spring water flows into the river on its way to the sea, as the tributaries are small and few in number. In the highlands, the river surges forward through a narrow and majestic gorge into the mountain pass Bárðarskarð, between the hill of Brattháls and Hnúta mountain. 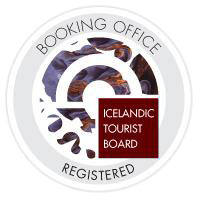 Below, the river is adorned by a number of intimidating rapids and waterfalls, many of which are just as spectacular as the largest in Iceland. The last of these waterfalls is Lambhagafoss, below which the river runs along the west side of Dalsfjall mountain before turning onto the Skaftáreldar lava field (Skaftáreldahraun). The river then flows widely across the sands, joining the rivers Brunná, Djúpá and Núpsvötn before meeting the sea at the Nýós and Hvalsíki inlet. In the Laki eruption of 1783, the east main branch of the Laki lava flow ran through Hverfisfljót canyon. This massive lava flow ran down from the canyon, accumulating and spreading across the lowlands before filling up the valley between Síða and Fljótshverfi. Before the Laki eruptions, the course of the Hverfisfljót river was further to the west and spread out from Orustuhóll to Hvoll in the east, until the lava field pushed it to its present course. Now, more than 200 years after the eruption, the river has carved a narrow 6–7 metre gorge into the tuff in Bárðarskarð and the upper part of the old canyon can still be seen in the lava between Miklafell and Hnúta. The municipality of Skaftárhreppur extends from Mýrdalssandur, in the west, to Skeiðarársandur, in the east. Powerful glacial rivers characterise the area, chief among them Hverfisfljót, Skaftá and Kúðafljót. When horses were the main mode of transport, the glacial rivers presented great challenges. While there were no bridges over the rivers, one had to trust the horse’s and wader’s competence. A wader was given that title if he or she was skilful at finding favourable locations to wade in moving water. This was a test both of the shrewdness and daring of the men, and of the footing and dependability of the horse. With the advent of the automobile in the early 20th century, the glacial rivers began to be bridged one by one. The bridge across Hverfisfljót was received as a great improvement in communications when it was completed in 1968, although the river continues to threaten residents as sediment raises the riverbed and the river attempts to change its course by flowing over cultivated land and settled areas in the lowlands.